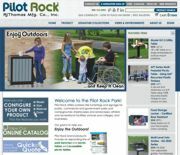 PilotRock.com, the website for R.J. Thomas Mfg. Co., gives you a new way to shop for park equipment online. Use the Configure Tool to select the features you want and find the price. Add the products you build to the Quote Cart and submit. PilotRock will reply with freight and apply any appropriate discounts. Then place your order securely online. Products are grouped to make shopping easier. Browse for new products, or products by material used, or products by application. One product, many solutions. SofTILE DuraSAFE from SofSURFACES Inc. is engineered for safety performance and extreme durability. It is tested on site and backed by a 10-year warranty. DuraSAFE delivers. 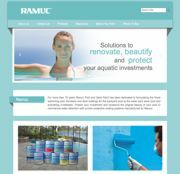 On the Ramuc Pool Paint website, you'll find everything you need to successfully paint your pool, aquatic feature or deck. Start your project right by downloading the Chip Analysis form to receive valuable information about the paint currently on your surface. Turn to the Paint Quantity Calculator to receive an accurate recommendation on how much paint to purchase. You'll also find updated how-to information, current technical data bulletins, material safety data sheets (MSDS), product descriptions and more. With Dri-Dek®, never worry about slippery, wet floors. Dri-Dek's anti-skid, self-draining surface keeps wet floors dry. It's perfect in pool areas, showers, locker rooms and saunas. Just snap the 12-by-12-inch interlocking tiles together to form a surface of any length, width or shape. Available in 12 colors. Visit the website or call for an instant brochure and free samples. 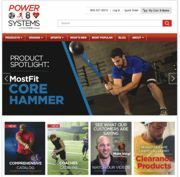 Power Systems' site is easy to navigate with its clean and simple design. You can easily find what you're looking for by using the highly integrated search feature. If you're not exactly sure what you're looking for, try the drop-down menus at the top, which have the products sorted by category, brand or sport. Be sure to check out the new Blog for the latest information about Power Systems, along with some helpful tips. The Shade Systems Inc. website is the fastest way to learn how Shade Systems can help you provide healthful and comfortable shade protection on playgrounds, poolside and sports fields. Watch the 6-minute Turn-N-Slide™ video and see how easy it is to remove and then re-attach your canopy for the winter season or in case of hurricane. Read about the 20-year structural and 10-year fabric warranty, and order your free copy of Shade Systems' 40-page catalog. For more than 40 years, Recreonics Inc. has been supplying aquatic facilities across the United States with high-quality commercial swimming pool equipment and expert customer service. Let their experienced sales consultants partner with you regarding your aquatic facility needs. The website features secure online ordering and more than 2,000 products, including ADA-compliant products, water safety, cleaning, mechanical and competitive swimming, with brands such as Speedo, Aqua Products, Pentair and Colorado Time Systems. The Lincoln Aquatics website gives you access to more than 6,500 high-quality products online. The site allows for 24x7 access for all of your aquatic needs. At lincolnaquatics.com, you can create your own orders, generate products quotes, track your individual account history and download the Lincoln Catalog and Special Flyers. In addition, you are able to access instruction manuals, MSDS Sheets, product specifications along with updated ADA regulations information.